ZIMMERMAN, SAMUEL, businessman; b. 17 March 1815 in Huntington County, Pa; m. first 15 Aug. 1848 Margaret Ann Woodruff (d. 1851), and they had two sons; m. secondly 16 Dec. 1856 Emmeline Dunn, sister of Timothy Hibbard Dunn*; d. 12 March 1857 near Hamilton, Upper Canada. Of German descent, Samuel Zimmerman was the fifth son in a family of seven sons and one daughter whose parents were “in humble circumstances.” He received little formal education and began to work, originally as a labourer, at an early age. While employed on construction and public works projects in his native state he gained the basic experience which was to make him a rich man. In 1842 or 1843 he came to Thorold, Upper Canada, to become involved in the reconstruction of the Welland Canal being carried out by the Board of Works, in which the canal was widened and deepened and the original wooden locks were rebuilt in stone. By his own account he arrived “not with more capital than he knew what to do with” but he was ambitious and energetic. Between 1846 and 1849 he built, under contract to the board, four locks and an aqueduct. Though he required an extension of time to complete his contracts he gained a reputation, according to Francis Hincks*, as “one of the best and most successful contractors that had ever been employed by the Government at that time.” This reputation was achieved at least in part by his refusal to allow work to be stopped on his projects during a series of strikes by canal workers. He afterwards claimed that he and other contractors had been close to bankruptcy during their work on the Welland but there is no doubt that he ultimately made a considerable profit, which became the basis of his later fortune. By 1848 at any rate he was able to travel widely and in comfort. In that year he married the daughter of a businessman and politician, Richard Woodruff of St Davids, and settled near Niagara Falls. Zimmerman’s success as a canal contractor brought him into contact with a number of influential businessmen and politicians, including Hincks, and into the field of railway construction and railway politics where Americans soon achieved a commanding presence. During the reconstruction of the Welland Canal, one of the “host of Yankees” employed by Zimmerman was an engineer from New York state, Roswell Gardinier Benedict, who had acquired extensive railway-building experience in the United States and who became assistant to the chief engineer of the Great Western Rail-Road in 1847 and chief engineer four years later. In 1849 he was influential in persuading its inexperienced board of directors to give a contract to Oswald, Zimmerman and Company, the firm organized by Zimmerman and James Oswald (another contractor on the Welland who was to be associated with Zimmerman in numerous business ventures). Construction did not begin until 1851, when the firm began building the eastern division of the Great Western, from Paris to Niagara Falls. Almost invariably Oswald and Zimmerman relied upon sub-contractors for actual construction. Zimmerman was also a promoter of and contractor for the Niagara Falls Suspension Bridge. Designed by the eminent American engineer John Augustus Roebling, it was completed in 1855 and connected the Great Western to the American railway network. In his role of railway promoter and contractor, embarking on the beginning of what many believed to be a golden age of progress and prosperity, Zimmerman quickly displayed a flair for publicity and showmanship. He organized free rides on the completed portion of the Great Western track out of Hamilton by day and lavish entertainments for prominent businessmen and politicians by night. Construction, however, was slow and in 1852 Oswald and Zimmerman were unable to complete the eastern division by the time specified in their contract. On the advice of Benedict the railway company nevertheless offered them a bonus of £17,500 if the work was finished by September 1853. Despite missing this extended deadline by two months, the firm was voted a bonus of £11,250 for “early completion,” even though the line was in such an unfinished state on opening in November that the engine of the train carrying a group of dignitaries from Hamilton to Zimmerman’s home at Niagara Falls fell off the track when loose rails gave way. Zimmerman’s firm undoubtedly profited handsomely from the Great Western contract, which permitted extra charges above the agreed price per mile on the approval of the chief engineer, who, until his dismissal in November 1852 for grossly underestimating the cost of the work, was Zimmerman’s friend Benedict. Because the Great Western planned to build a number of branch lines during and after the construction of the main line from Niagara Falls to Windsor, Zimmerman attempted, with some success, to gain a degree of personal control over the company. His influence rested on a growing reputation for having the energy and resources to carry out large undertakings and on an equally useful reputation as a political lobbyist who operated on a grand scale. His lobbying on behalf of the Great Western had probably begun in the late 1840s when attempts were made in the provincial parliament to charter a rival (“southern”) railway system, parallel to and south of the Great Western’s route. The initial activities of the group advocating the southern railway, then led by Francis Hincks, culminated in a vote in the Legislative Assembly in 1850 in which a charter for the line was defeated by two votes. In 1852, when the Hamilton and Toronto Railway (built by a supposedly separate company but as part of the Great Western system) was seeking a provincial charter, Zimmerman “took an active interest in obtaining support from the members” of the assembly, according to Joseph Curran Morrison*, a member of the Legislative Assembly for Niagara and a director of the Hamilton and Toronto. Three years later, when the Great Western wanted its charter amended, its vice-president, William Longsdon, and its managing director, Charles John Brydges*, were told by Hincks, John Hillyard Cameron*, and Sir Allan Napier MacNab* that “the only sure way of getting our Bill” was with the help of Zimmerman – help which was provided on the condition that he receive a contract, on his own terms, to double the Great Western’s track between Hamilton and London. 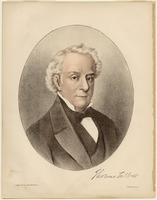 His system of lobbying, in the opinion of the engineer Thomas Coltrin Keefer*, included the maintenance of apartments at the provincial capital for the open-handed entertainment of “all the peoples’ representatives, from the town councillor to the cabinet minister.” As well he made full use of the favour of leading politicians with whom he was on friendly terms. He was known to be closely associated with Hincks while he was provincial inspector general and co-premier (1851 to 1854), despite their occasional support of rival railway interests. When Hincks left the country in 1855 to become governor of Barbados and the Windward Islands, Zimmerman publicly demonstrated his friendship and gratitude by entertaining 1,000 guests at his own expense at a testimonial dinner and ball. He also used the good offices of Sir Allan Napier MacNab, who was a past president (1845–49) and a director (1850–54) of the Great Western. 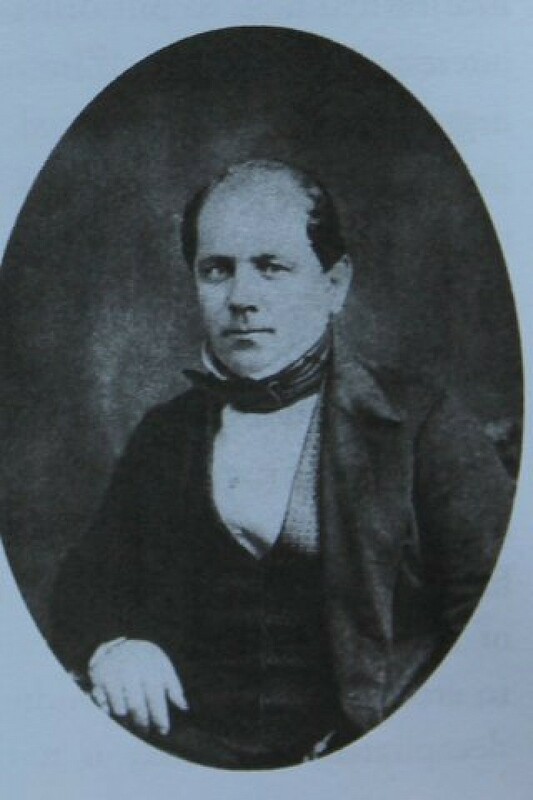 In 1852 MacNab had tried to have the building contracts for both the Hamilton and Toronto Railway and the London to Sarnia extension of the Great Western given to Zimmerman, but a prior commitment to an English contractor, George Wythes, had been made by Peter Buchanan, London agent for the Great Western. 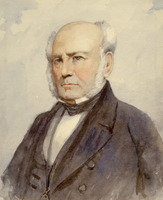 Though an accommodation was reached by which Zimmerman received the contract for the Sarnia extension and compensation of £10,000 or £12,000 for his political services, MacNab, through the agency of Zimmerman and Isaac Buchanan* (a Hamilton merchant and Peter’s brother), was replaced in 1853 as parliamentary agent for the Great Western by Joseph Curran Morrison, now the province’s solicitor general and “a particular friend” of Zimmerman’s. Well before the completion of the Great Western, Zimmerman had begun to look for additional railway contracts. He belonged to a select group which grasped very quickly in the early 1850s how Canadian railway mania, American entrepreneurship, the province’s new municipal system [see Robert Baldwin], and public credit could be integrated for their personal and political benefits. He appears to have been extraordinarily adept in his use of the Municipal Loan Fund Act, introduced by Hincks in 1852. The act made rapid railway expansion feasible since it provided for a fund against which municipalities could borrow in order to invest in railways planned to run through them. This meant that if municipal officials, and the ratepayers through referenda, could be persuaded to contribute money to railway companies, lines could be built almost entirely at public expense. Zimmerman took advantage of this new situation by using his growing reputation as a successful contractor and his powers of promotion and persuasion to become the contractor for a number of short railways. In 1852, with A. P. Balch, he agreed to build the Cobourg and Peterborough Rail-way, of which Ira Spaulding, formerly engineer for the central division of the Great Western and an American friend of both Benedict and Zimmerman, was chief engineer. This railway, which depended for its operation on a bridge three miles long across Rice Lake, was badly engineered and built and was never successful, owing to the repeated collapse of the bridge as a result of ice. Despite the low quality of construction, Zimmerman refused to turn over the tracks or the engines and rolling-stock, which he also provided as contractor, until he had been paid in cash and bonds for alleged extra costs, greatly in excess of the original estimate. Meanwhile he had entered into a contract to build a parallel and rival railway, the Port Hope, Lindsay and Beaverton, which was constructed as far as Lindsay between 1854 and 1857. Though better built than the Cobourg and Peterborough, it also began operations in a near bankrupt state after paying Zimmerman’s bills for the work. Zimmerman himself had contributed to the company’s capital by buying $100,000 of first mortgage bonds, thereby effectively becoming a part owner. As well as expanding his operations into new areas of the province, Zimmerman had soon changed his mind about the feasibility of a “southern” railway paralleling the Great Western. In the hope of building and running the proposed southern line, which could divert traffic (including the valuable American through-trade) from the Great Western, he became deeply involved in the affairs of two projected railways: the Woodstock and Lake Erie Rail-way and Harbour Company in 1853 and the Amherstburg and St Thomas Railway in 1856. The former, with the help of Zimmerman as lobbyist, was given parliamentary approval in 1853 and in 1855 to build extensions to St Thomas and to the Niagara Falls Suspension Bridge. With these extensions, the Woodstock and Lake Erie combined with the Amherstburg and St Thomas would constitute a southern route between the Niagara and the Detroit rivers. In November 1853 Zimmerman’s company was hired to build the Woodstock and Lake Erie, of which Hincks was president and Benedict chief engineer. The contract had to be cancelled because of the railway company’s lack of funds but in January 1854 Zimmerman’s firm, which now included Luther Hamilton Holton* as a partner, regained it through the intervention of one of the railway company’s directors, Henry de Blaquiere, who was paid $50,000 by Zimmerman for advising the rival contracting firm of Valentine, Hall and Company to submit a higher bid. Work began in the spring of 1854. When the railway company again ran out of money after paying Zimmerman $348,000, he lent it $50,000 to complete bridging and grading on part of the route. In October work was again suspended while negotiations were conducted among the directors, Zimmerman, and representatives of the municipalities through which the railway was to run and which had been asked to vote funds to support the line. Zimmerman moved as well to gain effective control of the Amherstburg and St Thomas. In July 1856, as an initial step, he subscribed $1,000,000 of stock and deposited the 10 per cent required by law in his own bank. For negotiations with the railway company he enlisted the aid of Arthur Rankin*, mla for Essex, by promising him a construction contract worth at least $100,000. Zimmerman’s organizational moves on both railways were blocked, however, by Isaac Buchanan, who, acting on his own but in the interests of Hamilton and the Great Western Railway, made an opposing bid to secure financial and directorial control over both halves of the proposed southern railway. This struggle reached a point in August 1856 at which two competing boards of directors for the Amherstburg and St Thomas were elected on the same day: one headed by Rankin, representing Zimmerman, and the other headed by Amherstburg businessman John McLeod, representing Buchanan. 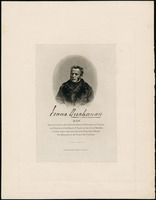 Buchanan’s intervention, which involved an expenditure of $350,000 of his own and his firm’s money to buy stock and influence, was repudiated by the British board of the Great Western. He eventually became convinced that only Zimmerman could bring the southern scheme to completion and worked for a reconciliation of the competing interests and for his own withdrawal from the affair. By early 1857 he and Zimmerman had completed arrangements which gave Zimmerman or his nominees control of the boards of both the Amherstburg and St Thomas and the Woodstock and Lake Erie. It was following a meeting held in Toronto to discuss the final details of the southern project (later built as the Canada Southern Railway) that Zimmerman “jauntily walked out of the hotel with his grip in his hand, and entered the omnibus for the Great Western Railway station,” only to be “laid low in death” within 60 minutes. Just as his train reached the bridge over the Desjardins Canal, it left the tracks as a result of a broken axle on the engine, smashed through the side railings, and crashed into the frozen waters of the canal, killing Zimmerman in his attempt to escape. He was buried at Clifton but was later reinterred beside his first wife at St Davids. Before his career was so suddenly cut short he had found time to become involved in a variety of ventures other than railways. In 1848 he bought the Clifton House, a large hotel at Niagara Falls, and began to renovate and upgrade it. At the same time he purchased several hundred acres of land on the Canadian side of the suspension bridge which he proceeded to develop by laying out streets, erecting commercial buildings, and selling building lots for a community named Elgin, which merged with Clifton in 1856 and eventually became Niagara Falls. A large part of his Niagara land holdings was sold in 1856 to R. G. Benedict and Ira Spaulding for $200,000. Zimmerman also built gasworks and waterworks for the growing town and in 1854, along with Luther Hamilton Holton, John Hillyard Cameron, and James Oswald, he founded there the Zimmerman Bank, of which he was president and Gilbert McMicken*, his lawyer, was cashier. It operated first as a private bank under the Freedom of Banking Act of 1850 and from 1856 as a chartered bank, and helped in the financing of Zimmerman’s various undertakings. Almost the entire capital stock of the bank, $1,000,000, was held by Zimmerman, though only $453,000 was ever paid up. The bank, later described by a government commission as an “ephemeral” institution, was in fact badly underfinanced and was partially supported by public funds, loaned secretly and without government authorization in 1856 by Zimmerman’s close friend, Joseph Curran Morrison, the province’s receiver general. Zimmerman also owned the Niagara Harbour and Dock Company, which along with his own short railway, the Erie and Ontario, was sold to the Great Western Railway in 1854, an arrangement repudiated within months by the railway’s British board. He owned one lake steamer, the 475-ton Zimmerman, commanded from 1854 by Duncan Milloy* and operated in connection with the Erie and Ontario, and had a part interest in a second, the Peerless. With James Oswald he took over the large flour-mills of Jacob Keefer* at Thorold in 1855 by foreclosing a mortgage which they held. In addition Zimmerman invested heavily in real estate in several areas of the province, especially at Hamilton and Toronto, his holdings amounting in 1857 to approximately 18,000 acres. The precise extent of Zimmerman’s wealth and power has been and must remain a matter of conjecture. It was widely believed by Zimmerman’s contemporaries that he was one of the richest, if not the richest, man in the province. At the time of his death he was in the process of building a mansion to cost $175,000 on 52 acres of landscaped grounds overlooking Niagara Falls. Although he spent money lavishly, some of his ventures, particularly the bank and the Niagara Harbour and Dock Company, were decidedly unprofitable. His land holdings once said to be worth as much as $3,000,000, lost a great deal of their value in the depression which began in the fall of 1857. After his death the debt of the Zimmerman Bank to the Bank of Upper Canada was found to be nearly $248,000 and his personal debt to the same bank more than $348,000. Like many businessmen of the time he had operated largely on borrowed money. His power as a political boss is more difficult to assess; it also, his contemporaries agreed, was far-reaching. The Semi-Weekly Spectator wrote in its obituary of Zimmerman that “his sway over other men was limited only by the boundaries within which he could possibly exercise it.” Thomas Coltrin Keefer later maintained that he had “organized a system which virtually made him ruler of the province for several years.” In a biography of Thomas Talbot, written in the wake of the railway boom of the 1850s, Edward Ermatinger* went out of his way to articulate a more pointed reaction to Zimmerman: “His talismanic wand so operated on the minds of men, whether members of the Legislature, speculating engineers, or railway contractors, that they could only revel in golden dreams, or swim in champagne; and in this mesmerized state, Zimmerman did what he pleased with them.” What can be said with certainty is that he was on intimate terms with many of the leading politicians of the time, and that he was highly successful in persuading members of parliament to support his schemes. Zimmerman was characterized by Keefer as an unscrupulous “bold operator.” Clearly he was no model of impeccable virtue. He offered and accepted bribes, and was ruthless in extracting maximum profits from the contracts he undertook. It must be said, of course, that his business ethics were no different from those of many of the businessmen and politicians with whom he dealt. As well he was an extraordinarily generous man whose public and private gifts to individuals, churches, municipalities, and the masonic order, of which he was a prominent member, were made on a large scale. He was also acknowledged, by Henry James Morgan*, to be a man of extraordinary energy who was prepared to work constantly to ensure the success of his many projects. He was a self-made man whose style was well suited to the circumstances in which he operated. He was very much a man of his time. AO, MU 2756, 85, Walter Shanly to Francis Shanly, 18 June 1847; RG 22, ser.155, will of Samuel Zimmerman. PAC, MG 24, D16; D80; RG 11, A2, 94: 321; RG 30, 2, 7 Sept. 1853, 4 Jan. 1854; RG 43, CVI, 2c, 2248: 344; 2249: 367. Can., Prov. of, Financial and Departmental Commission, Report (2v., Quebec, 1863–64), 1: 45–46; Legislative Assembly, App. to the journals, 1849, app.QQQ; Journals, 1857, app.6; Parl., Sessional papers, 1864, no.21; Statutes, 1853, c.234; 1855, c.179. Cobourg and Peterborough Railway Company, Report of the directors . . . (Cobourg, [Ont. ], 1853). Daylight through the mountain: letters and labours of civil engineers Walter and Francis Shanly, ed. F. N. Walker ([Montreal], 1957). Debates of the Legislative Assembly of United Canada (Abbott Gibbs et al. ), vols.5–9. Edward Ermatinger, Life of Colonel Talbot, and the Talbot settlement . . . (St Thomas, [Ont. ], 1859; repr. Belleville, Ont., 1972), 227–30. Full details of the railway disaster of the 12th of March, 1857, at the Desjardin Canal, on the line of the Great Western Railway (Hamilton, [Ont., 1857]). T. C. Keefer, Philosophy of railroads and other essays, ed. and intro. H. V. Nelles (Toronto, and Buffalo, N.Y., 1972), 159–60. “The late Samuel Zimmerman,” Canadian Merchants’ Magazine and Commercial Rev. (Toronto), 1 (April–September 1857): 177–81. Daily Spectator, and Journal of Commerce, 19 March 1857. Examiner (Toronto), 9 Nov. 1853. Globe, 14 March 1857. Leader, 7 Nov. 1855. Mackenzie’s Weekly Message, 22 March, 12 June 1857. Sarnia Observer, and Lambton Advertiser, 19 March 1857. Semi-Weekly Leader (Toronto), 6 Nov. 1855. Semi-Weekly Spectator, 18 March 1857. Weekly Dispatch, St. Thomas, Port Stanley, and County of Elgin Advertiser (St Thomas), 10 July 1856. DHB. Marriage notices of Ontario, comp. W. D. Reid (Lambertville, N.J., 1980). Morgan, Sketches of celebrated Canadians, 735–36. P. A. Baskerville, “The boardroom and beyond: aspects of the Upper Canadian railroad community” (phd thesis, Queen’s Univ., Kingston, Ont., 1973). D. R. Beer, Sir Allan Napier MacNab (Hamilton, 1984). M. F. Campbell, Niagara: hinge of the golden arc (Toronto, 1958). A. W. Currie, The Grand Trunk Railway of Canada (Toronto, 1957). The history of the county of Welland, Ontario . . . ([Welland], 1889; repr. with intro. by John Burtniak, Belleville, 1972), 342–43. Douglas McCalla, The Upper Canada trade, 1834–1872: a study of the Buchanans’ business (Toronto, 1979). Walter Neutel, “From ‘southern’ concept to Canada Southern Railway, 1835–1873” (ma thesis, Univ. of Western Ont., London, 1968). F. J. Petrie, “Samuel Zimmerman, benefactor of Clifton (1815–1857)” (paper presented to the Lundy’s Lane Hist. Soc., Niagara Falls, Ont., 1957). Robertson’s landmarks of Toronto, 1: 50. J. M. and Edward Trout, The railways of Canada for 1870–1: shewing the progress, mileage, cost of construction, the stocks, bonds, traffic, earnings, expenses, and organization of the railways of the dominion . . . (Toronto, 1871), 117–18. P. [A.] Baskerville, “Americans in Britain’s backyard: the railway era in Upper Canada, 1850–1880,” Business Hist. Rev. (Cambridge, Mass. ), 55 (1981): 314–36. J. A. Haxby and R. J. Graham, “The history and notes of the Zimmerman Bank,” Canadian Paper Money Journal (Toronto), 13 (1977): 81–97. J. K. Johnson, “‘One bold operator’: Samuel Zimmerman, Niagara entrepreneur, 1843–1857,” OH, 74 (1982): 26–44. B. A. Parker, “The Niagara Harbour and Dock Company,” OH, 72 (1980): 93–121. R. D. Smith, “The early years of the Great Western Railway, 1833–1857,” OH, 60 (1968): 205–27. J. K. Johnson, “ZIMMERMAN, SAMUEL,” in Dictionary of Canadian Biography, vol. 8, University of Toronto/Université Laval, 2003–, accessed April 19, 2019, http://www.biographi.ca/en/bio/zimmerman_samuel_8E.html.